I should have posted this a good while ago, but life…anyway onwards. 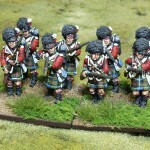 Last summer I picked up 2 boxes of Victrix Highlanders. It took me a good while to make up 6 bases worth (4 to a base) as I’m not a fan of building plastic figures… at least they’re plastic and not resin as superglue loves me more than the figures I’m building. They took part in the following battles during the Peninsular Campaign. 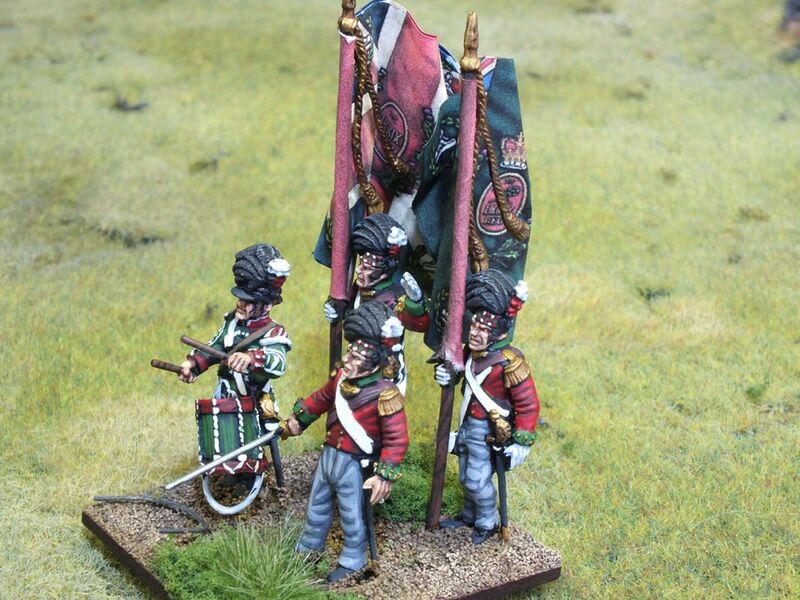 I posted them off to Toby at Artmaster Studios as I knew he’d already painted up some of my other 28mm Napoleonics and I prefer each army I own to have the same style of painting, plus I like the job he does, to me, one of the best historical painters in the business. They now have a Facebook page, so go over and like them! 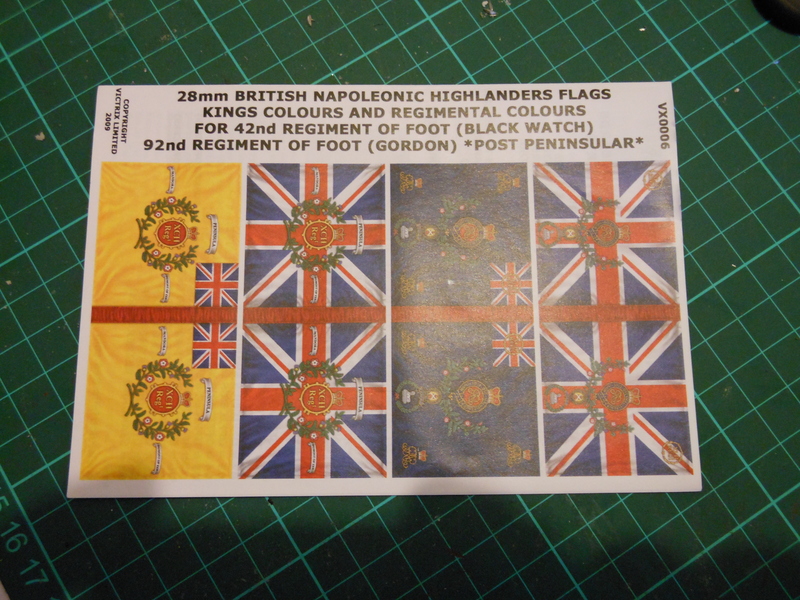 I picked up the flags from GMB Designs and then somehow forgot to include them in the parcel and then lost them in the house. After a while Toby managed to get hold of some and so completed the job. Here they are, there’s 24 figures in total. 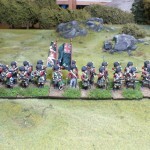 6 bases with 4 figures. 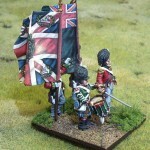 Splendid job I think and they match the Perry’s Infantry and Cavalry that I have a treat. So what’s next? Toby has (and completed now!) 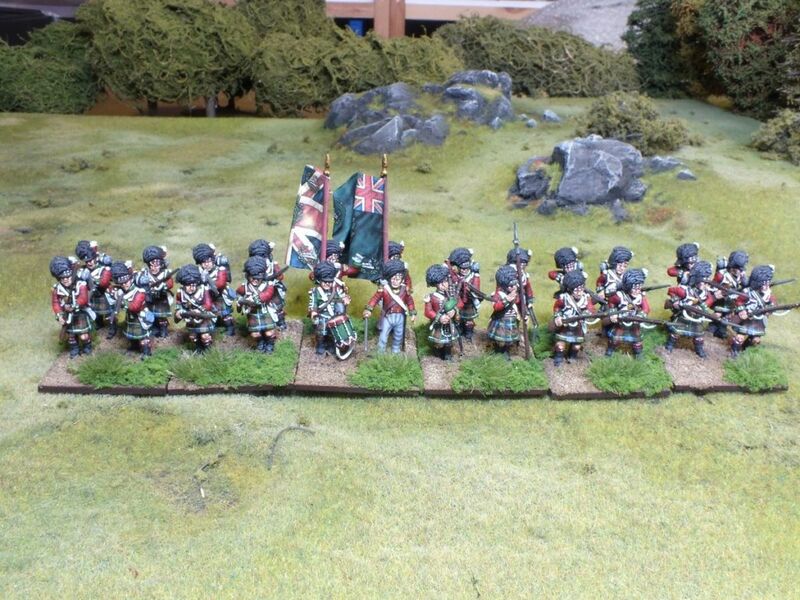 some Perry’s Cavalry and some Perry’s Line Infantry to do. I’ll do more posts when they arrive back with me. 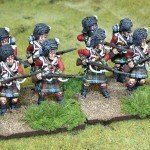 (And the Cavalry have arrived – just need to get some pictures!). 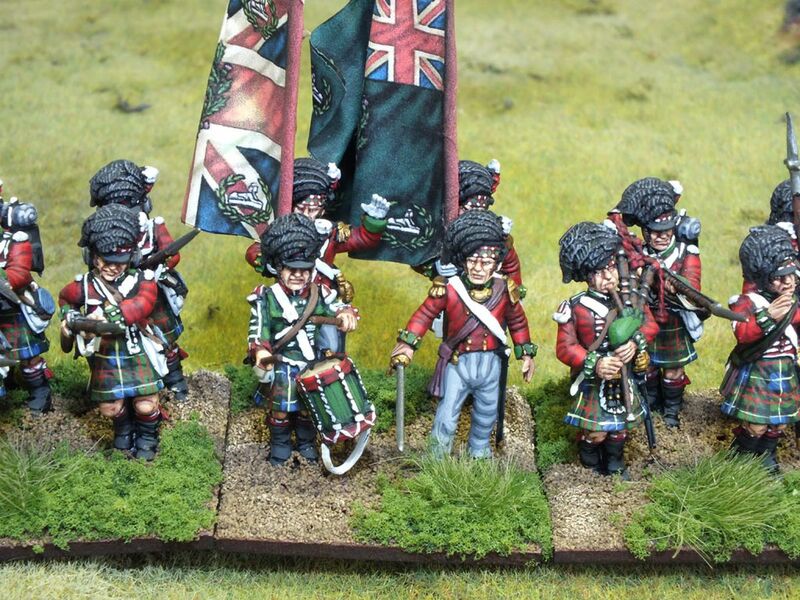 As the gods are against me going down to Bristol for the weekend, i’ve decided to use the time i’ve ‘gained’ to start to build up the vast number of 28mm Napoleonic miniatures that I need for my upcoming game of Black Powder in a few weeks. 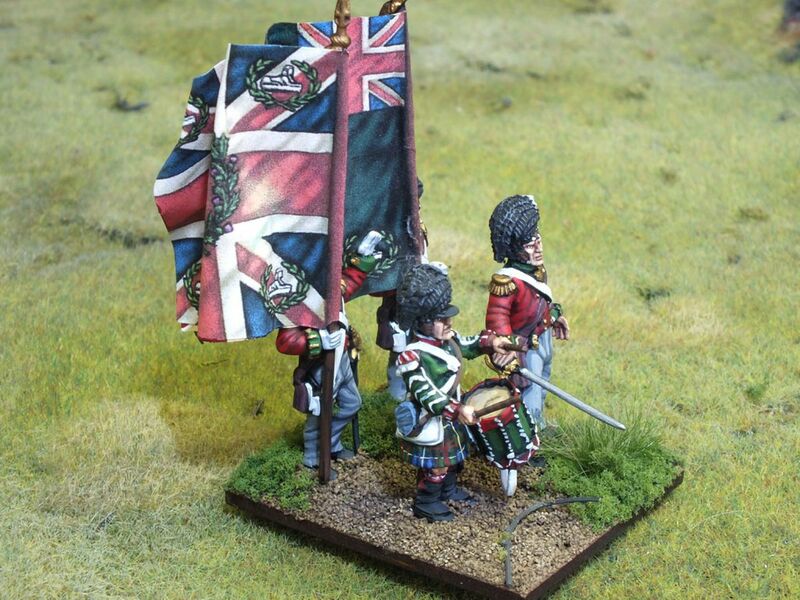 For that game I’m hoping to provide my own troops rather than borrowing from others. 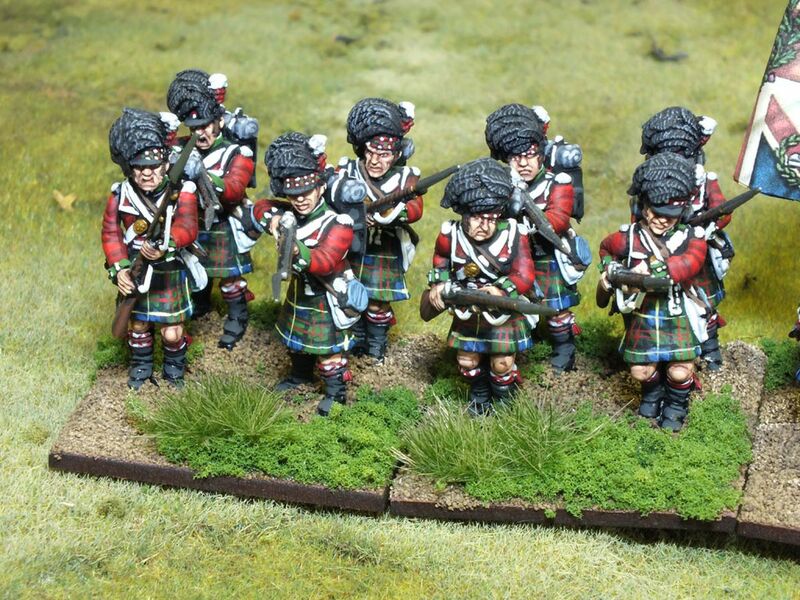 2 x Box of Victrix Highlanders (1 Box of Centre Company, 1 Box of Flank Company). 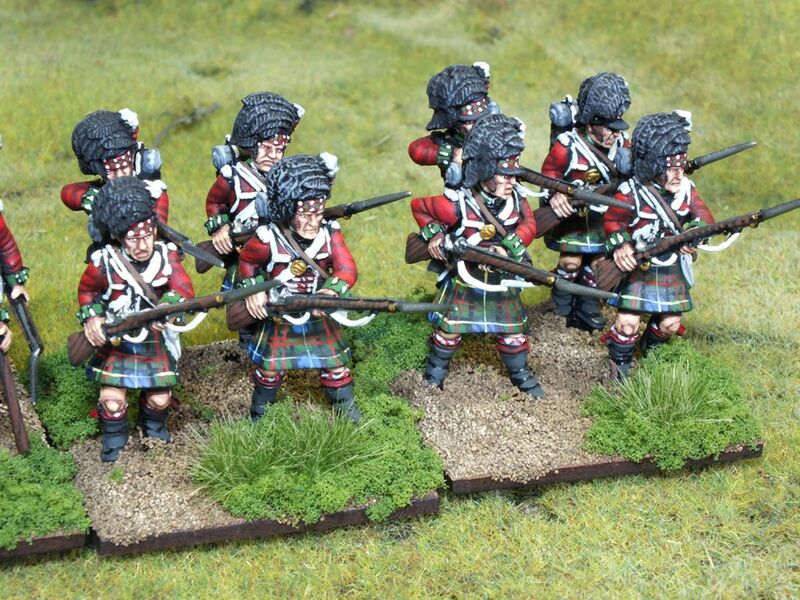 So my focus for the moment is to build up some Highlanders, as I need fewer of these than I do the Line Infantry. If we open up a box, this is the contents and the amazement of 60 miniatures for £22! Anyway, let’s look at what we get when we open up the box. 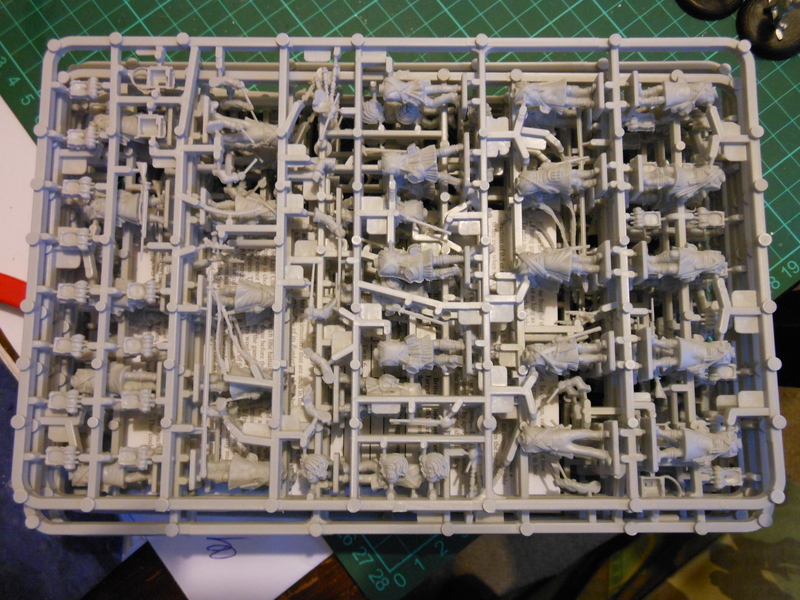 The first thing I notice about Victrix figures is that the boxes are that bit deeper than anyone else and when you open up the box you see the large number of sprues. The sprues are made from a lighter plastic than you see from GW/PP/Perrry’s but the good news is that it’s easy to clean, easy to cut the pieces out and more importantly (for me) plastic glue works (I use Humbrol Poly Cement). However it’s not all good for me, personally I find that Victrix arms are a law to themselves, they are just a real pain to fit, especially when you have to glue the two arms together as well (holding the rifle to aim for example). This means that you have ‘gaps’ at the back of the arms as this picture shows. This gap is easy to sort, but something you shouldn’t need to do so. 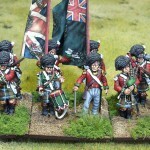 I am not alone in my issue with the arms, a number of fellow wargamers also speak of this. 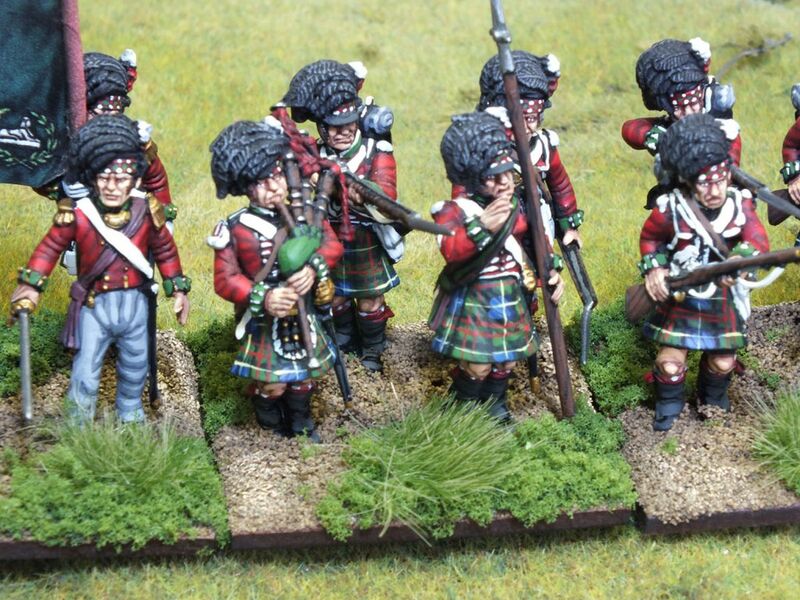 What is worse though is that if you compare these models to the Perry Miniatures British Line Infantry I find that those arms 90% of the time fit without issue. One thing we shouldn’t perhaps forget is that we get 60 figures in a box, that’s 37p each and you can forgive them a few annoyances as these figures are meant to be built en masse for large unts where you do a battlefield quality paint job and not a set of figures to enter for the Golden Demon award etc. 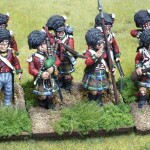 For Black Powder I’ve decided to use a base of 45x40mm as found on a great website here, It also agrees with the basic Perry base for their Line Infantry. This means that only 4 figures will be on one base, and six bases are needed for a Unit/Battalion, so that means 24 figures per Unit. This then means that each box will built two Units! and we’ll still have 12 other figures as well. We could use these to build a large Unit (using 8 bases). 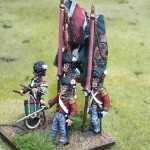 So to date I’ve built 24 of these, that’s enough for a Battalion for our Black Powder game. I’ll do another post detailing my mad plane to field enough models to make it worth doing!